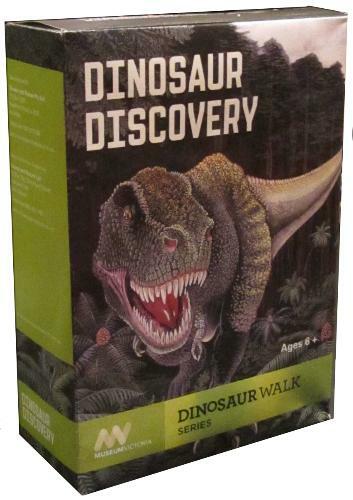 Explore the prehistoric world of dinosaurs with this excavation kit. Explore the prehistoric world of dinosaurs with this excavation kit. Find out about Australia’s own dinosaurs, where they lived, what they ate and how they nurtured their young. Also included is a life size replica of a Tyrannosaurus rex tooth which vividly shows the scale of the dinosaurs. The T-Rex skeleton is assembled from 13 pieces to make a model 34 cm in length. Great for school projects and budding paleontologists! This is made available under license from the Melbourne Museum.